For the most part, the newest album from Boston rock band Big Bear isn't much of a surprise. Under the Beach is a collection of unnamed songs with squealing guitars, screeching vocals, and a good amount of dissonance. The accompanying EP, See Out, could be described the same way. So what makes the new album so great and the new EP so disappointing? It's all a matter of energy. If Under the Beach is an explosion of sound throttling your eardrums and shaking your nerves, See Out is a whimper. 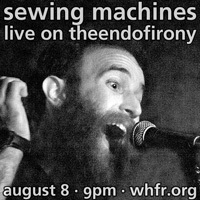 The EP seems like an attempt for the heavy band to quiet down and make something more accessible, but it fails. 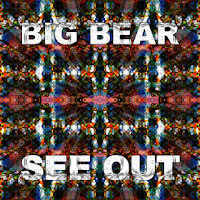 By taming their sound, Big Bear reveals the flaws in their work. The guitar work seems sloppy and the vocals are hardly melodic, but all it would need to really fix it up is more drive and more energy. Under the Beach just pulls those elements together in a way that creates a fantastic audio assault. So how did the band end up with such an amazing album and such a disappointing EP released on the same day? 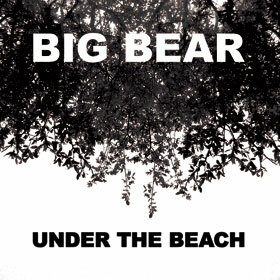 Under the Beach was a natural follow-up to the band's 2005 self-titled album, but See Out is the final glimpse of the band. Yes, Big Bear have played their final show, and these recordings might be the last we hear of them. It's hard to say if these recordings were meant to be a new direction for the band or if they were just some final ideas the band wanted to get down before breaking up. Maybe they were unfinished, and with a bit more time they'd gain momentum and turn into the heavy and energetic songs that we're used to. But now we'll never know.